Actually spending four years at high school was definitely different from the High School Musical fantasy I grew up imagining. Disney kind of let me down, but at the same time, it failed to really show what potential lied ahead for me at school. I never thought I would meet so many great people, get into amazing organizations, and take the time to grow up. I always dreaded the idea of growing up, thinking that if I became a whole different person it’d be the worst thing ever, after all, what child wants to lose their identity. The truth of the matter is, I’m thankful I’ve gotten to do even a little bit of growing up. I’ll probably always have some childish nature, but I’ve definitely matured in the sense that I am more responsible and I’ve become more of my own person. High school felt like a balancing act, but it also felt like stability. Something that was sure, even if sometimes I dreaded waking up in the morning, there were people there for me, and there was never really a major change except whenever summer came and a new year began. The people I’ve met left me with experiences that’ll last a lifetime, and whatever organization caught my attention, I tried to join it. Whether it was theatre or student council, once I was intrigued I did my best to enjoy my time participating. In the end, newspaper won me over though. Small, familial, and most of all, fun. Sure, the deadlines and need for stories did run me bananas sometimes, but it was work that I didn’t mind doing. I didn’t even know how much I truly enjoyed journalism until one of my friends observed how dedicated I was, staying after the bell just to upload some photos off a camera. If there’s any advice I could offer, that’d be to try something new. Sure, maybe you hear it all the time, but honestly it’s made all the difference. You see things from all different perspectives, find what you really like, and most of all, set foundations for your future. Building relationships and gaining skills early on really help, and it’s fun. When I initially left theatre to join student council, I was hesitant. In fact, I really missed standing up in front of others and spewing lines. But after I went back and also joined news staff, I realized that I don’t really have any regrets. Student council left just as many memories as theatre did, and I gained even more on news staff. No matter what you choose to do, if you really enjoy it in the moment, you won’t regret it. Once you find your second home though, there’s no going back. It’s bittersweet to know it’s finally ending. I’m proud of what I’ve done so far, yet I’m sad to leave it behind. Four years definitely makes you attached to a building, even more so when you’ve made so many memories in it. Knowing that just four years ago, I was an awkward and confused tween, baffles me. Well, I’m still awkward and confused, but thank goodness I’m not a tween anymore. I’m really thankful to all the teachers I’ve had over the years, and especially Mrs. Cardoza, who’s had to put up with my shenanigans for 3 years now. I’m really glad I had you for a teacher, and I’ll remember all the things you taught me. I’d also like to thank the news staff this year for being great! I’ll miss you all, stay awesome. Hope you all have a great summer! Hopefully I’ll pop back in some time to say hi, but for now, see you later Mac. Hi there, I'm Julia, the editor-in-chief this year at Brahma News. I am in charge of editing news and feature pieces, but I also tend to stick to writing them as well. 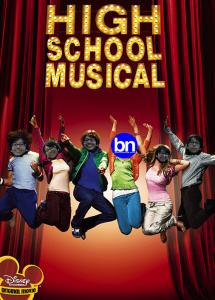 I have a lot of fun being a part of the Brahma News and I hope you enjoy what we post!